I was pretty darn excited when I got these. 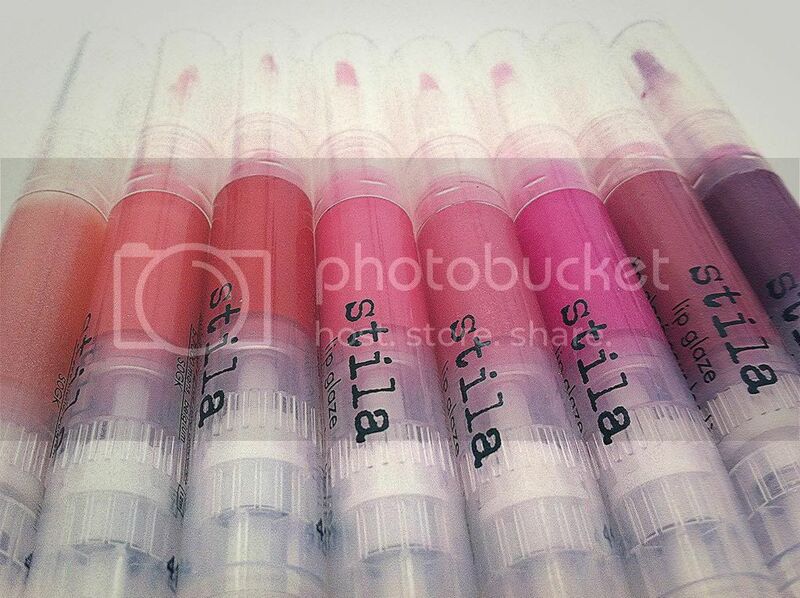 These gave me the opportunity to live on the wild side and try loads of shades from glossy reds to shimmery peaches. 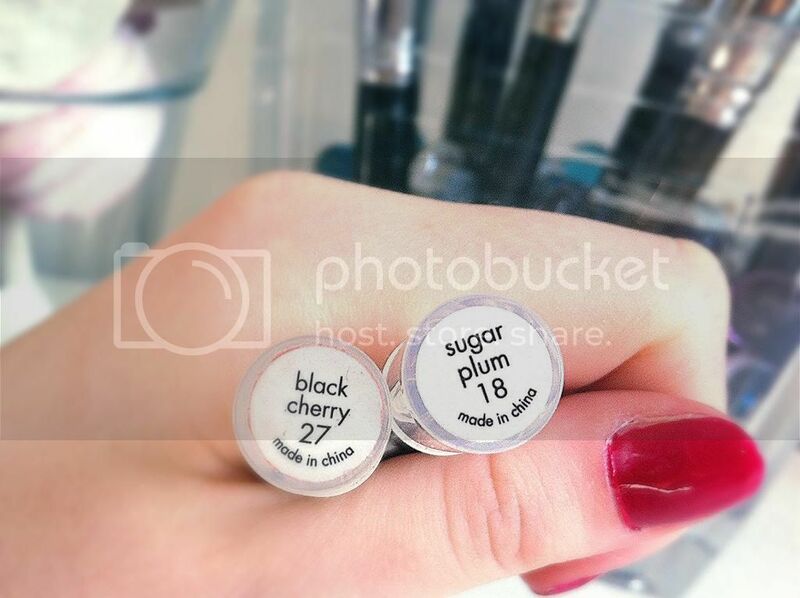 The two shades that are available year round are called 'Sugar Plum 18' and 'Black Cherry 27' which are, in my opinion, the two most wearable and universal shades in the collection. 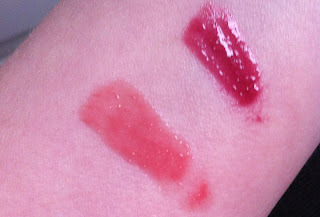 I think that they would look good on most skin tones (perhaps give Sugar Plum a miss if you're super dark). Black Cherry was the shade that I tried out first - it's a deep berry tone, it's buildable with some purple undertones, so perfect if you're looking for something vampy, but a more sheer application will also leave you with gorgeous berry lips that would suit an everyday makeup for work or school. 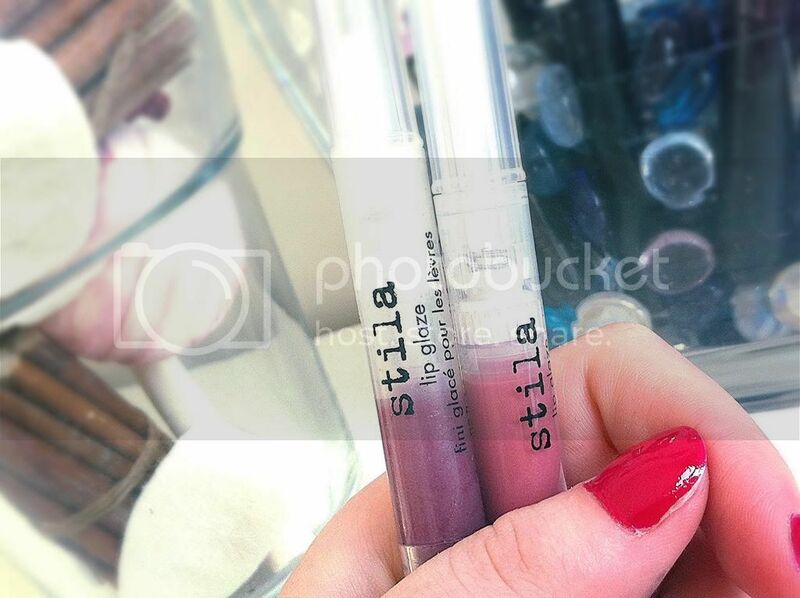 Sugar Plum is a more neutral tone with a tiny amount of shimmer through it. It's got a slight bit of orange through it, but not enough to be classified as a peach, so I think it would be the perfect shade for a natural, everyday makeup. 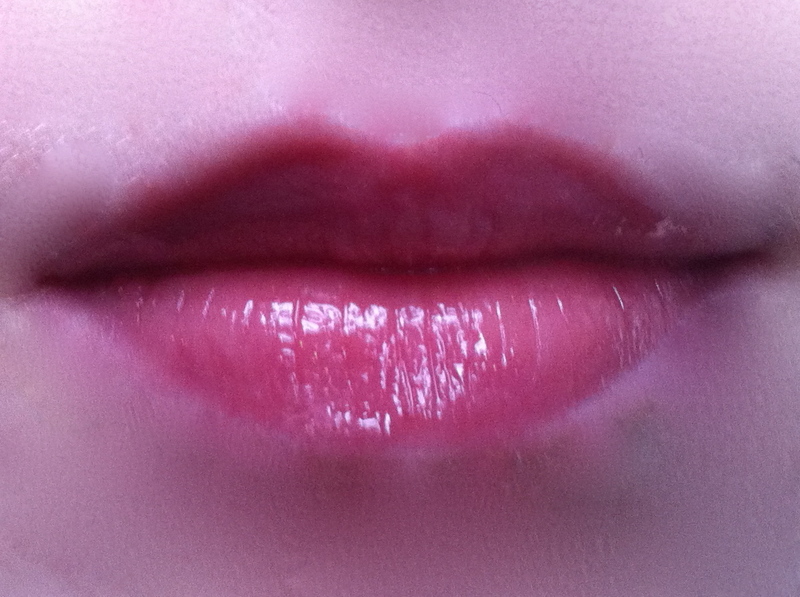 The product itself is different to a lot of lipglosses I've tried before. I don't find them sticky, and if I'm wearing a sheer layer then I barely notice that I have it on at all. If you have a super fussy boyfriend like I do though, then I would suggest wiping it off before you give them a kiss. What really sets these apart from other lipglosses that I've tried is their pigmentation and staying power - they are not at all heavy and go on just like a normal gloss, yet even from a couple of swipes (please see swatches) they transfer a gorgeous shade onto your lips that will stay in place for hours. Admittedly, I'm not a lip perfectionist but I would probably only find myself topping this up a couple of times a day and after meals. The applicator is one of those brushes that you twist the end of to make the product come out. I know that some people really don't like brush applicators, but the plus side is that they do give a pretty precise application (provided that all of the bristles are in place). 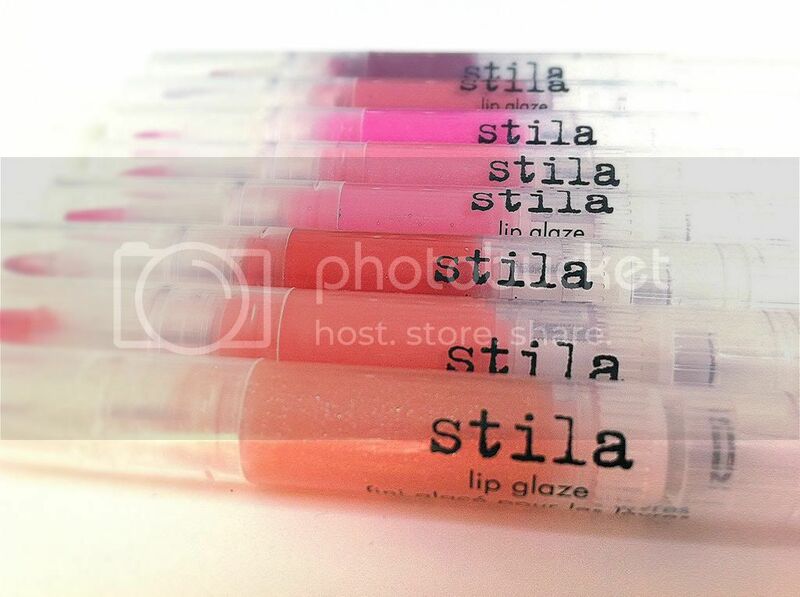 What do you think about Stila lip glazes? 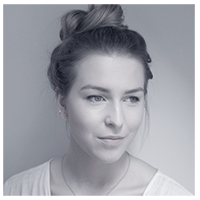 Have you got any favourite lip products you can recommend me?